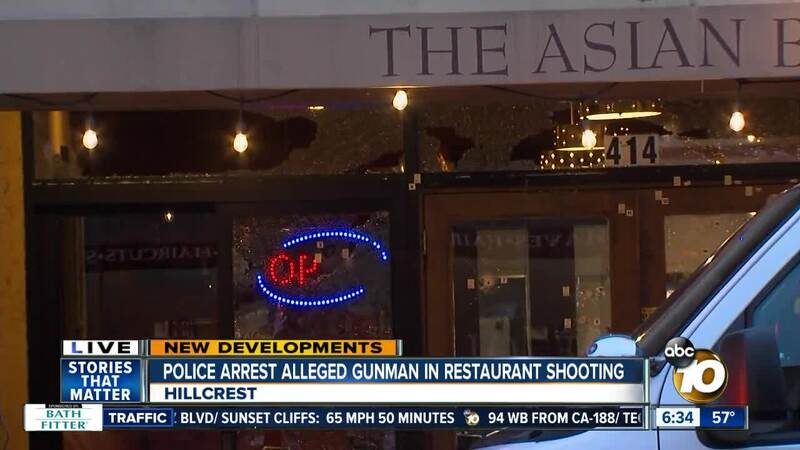 SAN DIEGO - San Diego police said 29-year-old Stefano Markell Parker faces several felony charges, including nine attempted murder charges, after he allegedly fired multiple shots into a restaurant. At around 7:40 p.m. Tuesday, San Diego police responded to reports of gunfire at the restaurant. Witnesses reported seeing a six-foot, 250-pound black man wearing a trench coat and armed with a rifle approach the Asian Bistro restaurant and open fire. As the gunman fired, several customers and workers inside ran for cover, but police said gunfire shattered glass at the front of the eatery and did not strike anyone inside. After linking him to the shooting, police arrested Parker. SDPD officials said Parker faces nine counts of attempted murder, one count of using a firearm in any felony and felony possession of a firearm.